The castle was inaugurated in 1906 in the „General Exhibition of Romania”, for the celebration of 40 years of the reign of King Carol I. 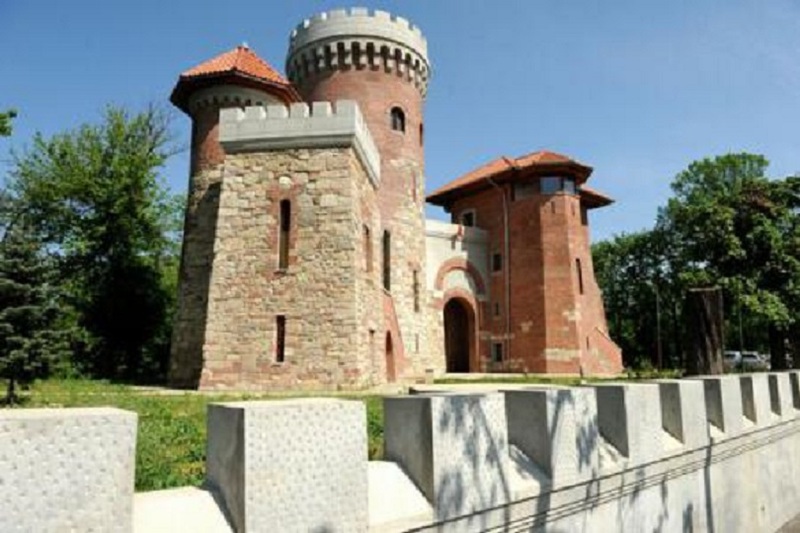 A great admirer of Vlad the Impaler, the king thought to mask the water tank destined to the exhibition with an architectural monument, recalling the great Voivode Vlad Tepes, also known as Dracula. Built by the architects Ştefan Burcuş and Victor Ştephănescu the building is a reproduction on a reduced scale of the Poenari Citadel, founded by Vlad Ţepeş (the Impaler), in the XV-th century on the Arges Gorges hights. To reach the castle tower, where the water tank is mounted, you have to climb 23 m on a wooden spiral staircase. Once on the top platform of the tower, you can enjoy a beautiful view of the park Carol and a panorama of Bucharest. The tower is supported by a buttress, which ends with a wooden veranda. To the right is a stone wall, which ends with a smaller tower. Because the water tank did not work, the royal family tried to give the building a cultural benefit, which houses several religious paintings exhibitions. In 1914, the tower was used to make radiotelegraphic broadcasts. 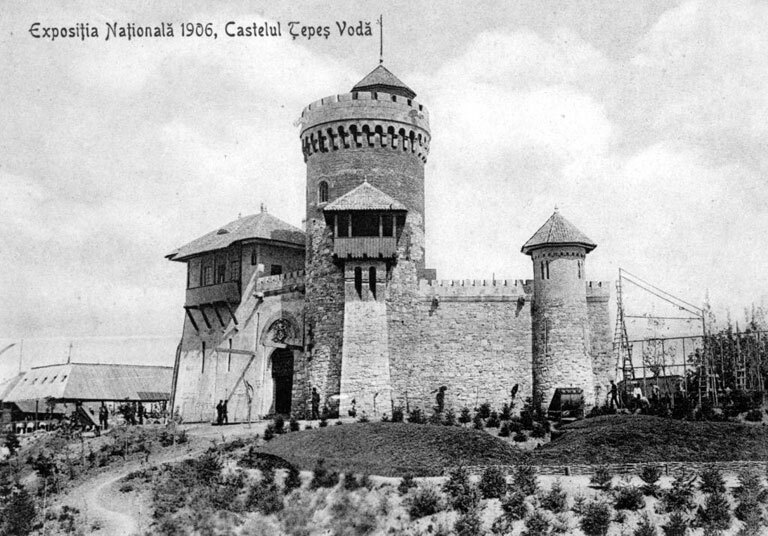 In 1920, the castle becomes the guard barracks of the „Unknown Soldier Grave”. 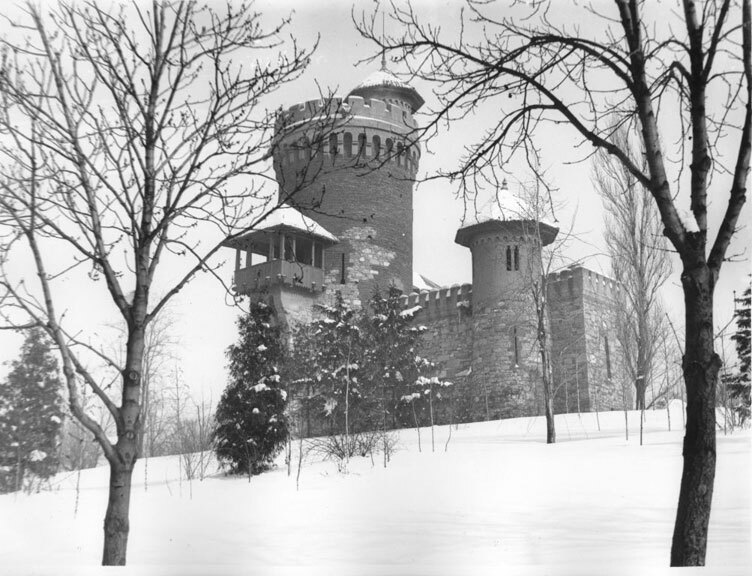 From 30 September 2004, the „ Ţepeş Castle” became the headquarters of the „National Office for the Heroes Cult”. Although it is an architectural jewel and could become an especially attractive objective for Romanian and foreign tourists, the monument is little known even to the citizens of Bucharest. The castle can be visited only twice a year: on the „Heroes Day” (Ascension of God) and on the „Army Day” (October 25).